For using the SMTP server, we only recommend using a dedicated SMTP service like SendGrid.com, Mandrill.com, MailJet.com, Amazon SES, etc. 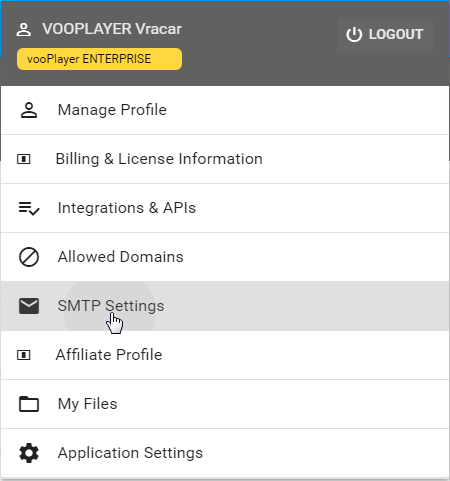 By using your own SMTP server you will be able to send emails for your business through vooPlayer. 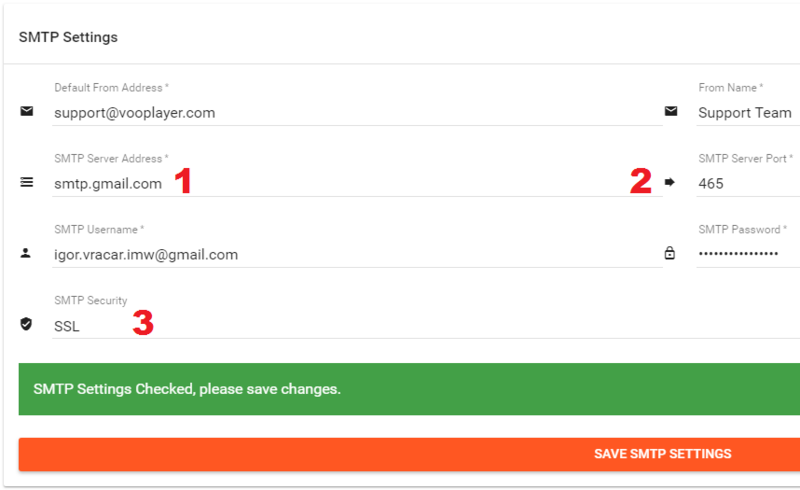 Use this document as a guide for setting up the SMTP service, we have used Gmail as an example. Provide your SMTP credentials, fill in all mandatory fields and click on the button "TEST SMTP SETTINGS". Now just click on "SAVE SMTP SETTINGS" and that's it. All necessary settings for SendGrid can be collected from this page.